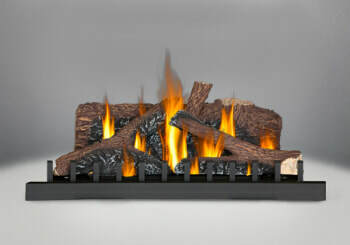 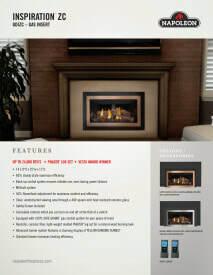 The Vesta Award winning Inspiration ZC Gas Fireplace Insert features advanced burner technology that produces beautiful, realistic yellow flames, and the exclusive PHAZER log set, and charcoal ember bed are so realistic, they can be mistaken for a real wood fire. 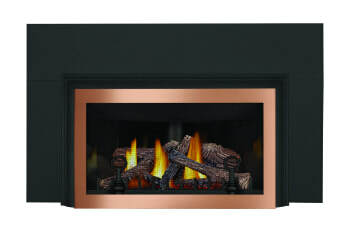 Inspiration ZC gas fireplace insert with logs, porcelain reflective radiant panels, brushed copper faceplate, three sided aluminum extrusion kit, three sided bakerplate. 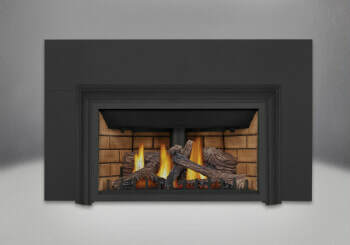 Inspiration ZC gas fireplace insert with logs, decorative brick panels, three sided aluminum extrusion kit, three sided bakerplate. 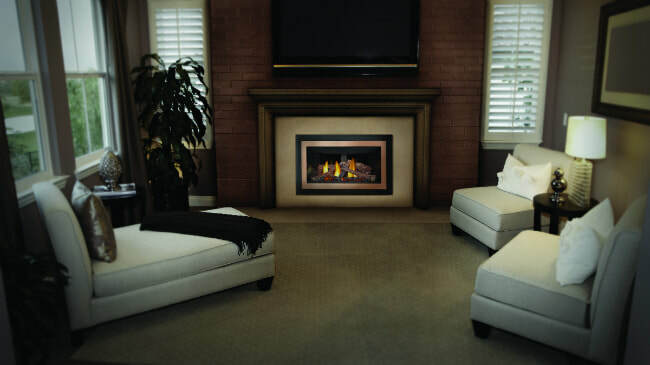 Inspiration ZC gas fireplace insert with logs, porcelain reflective radiant panels, brushed nickel faceplate, contemporary trim kit , three sided bakerplate. 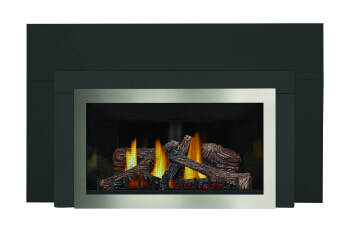 The fireplace log burner is included with the Inspiration ZC at no extra charge.